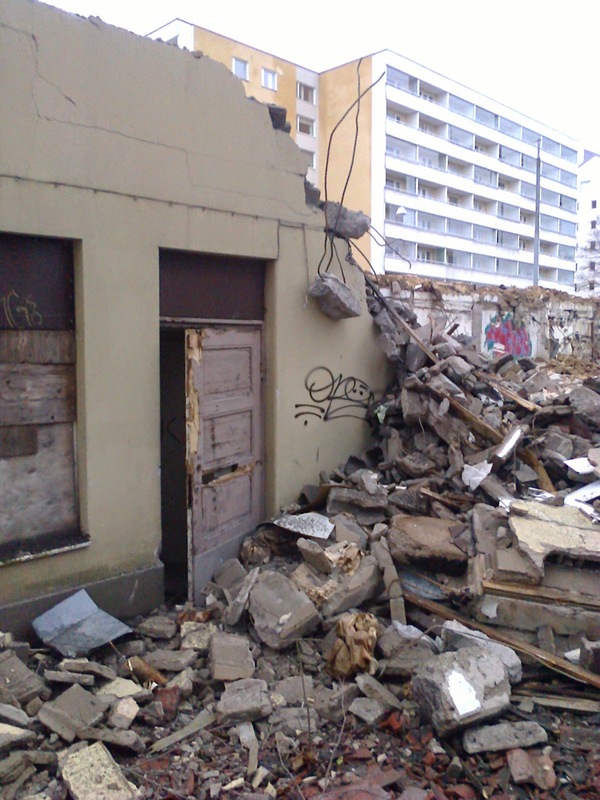 Let me announce you the mournful news: the beautiful wooden block in Itäinenkatu 64 is gone. They met their miserable death in last October, as the brutal machines finally came and carried out the death sentence that had been passed by the ultimate enemy of quaint old houses – the City Council of Turku. 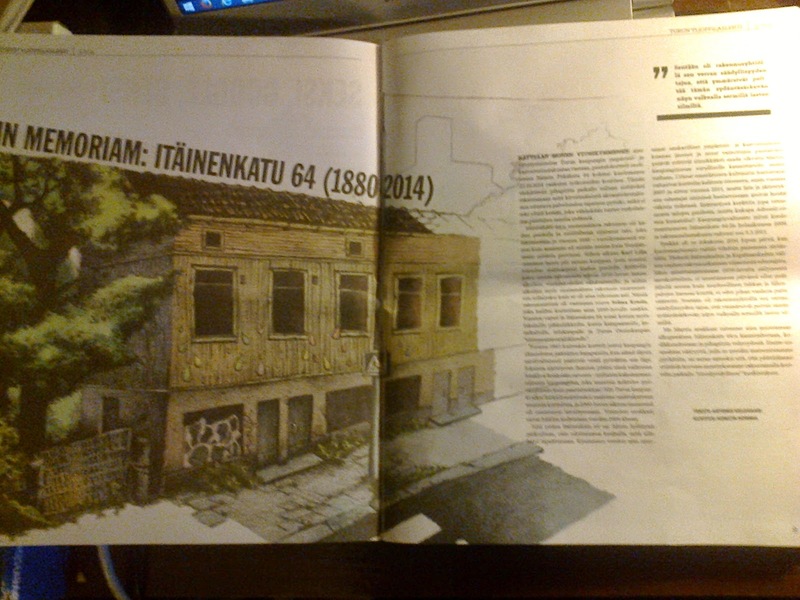 The first house of Itäinenkatu 64 was built in 1880, decades before our glorious country was anything but a petty province of Russia. In 1930s the two other houses were built to be homes for the poor, on the orders of the philanthropic lady Selma Ketola. All of the houses stayed almost intact since then. In 1960’s, however, the City Council just decided to make a cycling road through the house. As should be realized by everyone who has ever visited Turku and seen how the city actually treats its cyclists, this is plainly grotesque and not in a good way. Greedily the city bought the apartments one by one, until it finally could drive the residents away in 2004. Thus Itäinenkatu 64 was left all alone. During the decade after, several brave members of the committees of the city tried to save them – for nothing. They were squatted twice – only to be emptied again by the guardians of Law & Order ™. The City Council pronounced the final death sentence in February 2009. And now there is nothing but a wretched field of ash and pieces of brick where the sad beauty once stood. Apparently they try to replace our dear wooden block with some modern monstrosity “for the public good”. Well, if some aged relative of a Council member falls down its stairs and breaks a member, you could say justice has happened.